Patricia Reed, "The Politics of I Can..." in Cognitive Architecture. From Biopolitics to NooPolitics, eds. 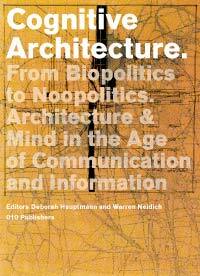 D. Hauptmann and W. Neidich, Rotterdam: 010 Publishers.